Chris Quinn earned his law degree from Washington University School of Law in St. Louis, where he served as a member of the Law Quarterly. Following his graduation and admission to the bar in 1993, Chris represented plaintiffs in personal injury, medical negligence, and product liability matters and worked in the information technology field before joining the Missouri Attorney General’s Office in 2006. 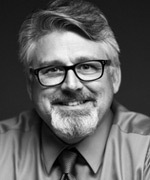 A team leader in the office’s Litigation Division, Chris successfully defended significant and high-profile cases, including one described in media accounts as “one of the largest and most complex trials ever in the state.” He has tried numerous cases to verdict and argued on appeal in both state and federal courts. Chris lives in St. Louis City with his wife and two sons.